I’m very proud to have raised so far $865 for my new venture, Sydney Creative Playground as part of our crowdfunding campaign. With one week left, I now have to raise $285 to hit our “tipping point’ goal of $1150 otherwise we get none of it! Originally we were meant to have an event today which I hoped would generate the final funds we needed, but we got unlucky with the weather. So, my next effort is something I’ve been meaning to do for a while. I’m selling off my babywearing stash. 1. Boba Wrap – formerly called “Sleepy Wrap”. It’s navy blue and was my go-to stretchy wrap for those early months. So comfy and snuggly. We used and washed it so much that it’s gotten a tad discoloured. 2. TaylorMade Mesh Ring Sling – It’s meant to be used in the water but I never tried. Not super comfy long periods but a great one to pop them in and out of quickly! Royal blue colour, nearly new condition. 6. Lenny Lamb Mei Tai (Toddler Size) – Full disclosure, I bought this second-hand, but it was nearly new then, and I’ve only worn it maybe 5 times since. It’s a bamboo/cotton blend, so very soft and comfy, with a nice wide toddler seat. Retail price: $86.14 (converted from Polish currency on their site). I’ll try to update this post as carriers are sold. Feel free to email me with any questions. I have to admit I’m little sad to see them all go. 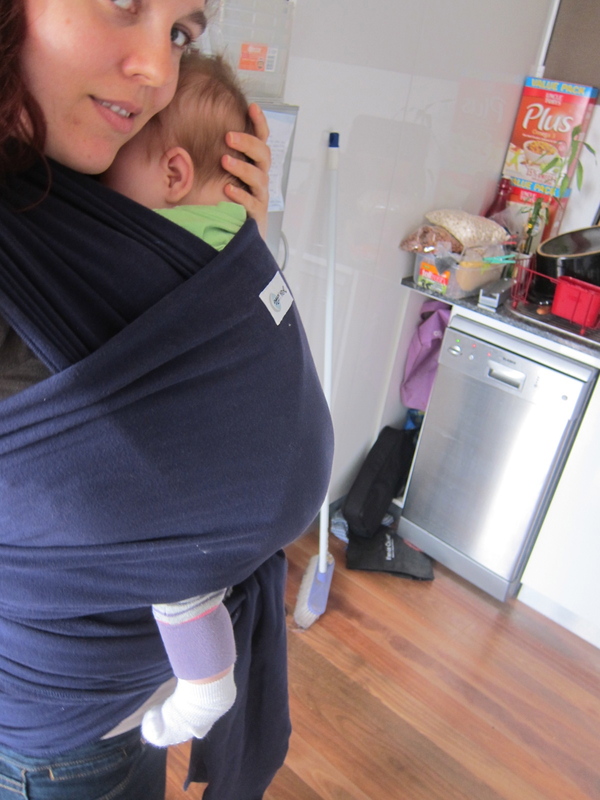 We’re hanging on to a few Manducas and my Kanga XT (though I’m thinking of trading it in for a Wompat if anyone’s trading or selling…) But we’re definitely coming closer to the end of our babywearing journey. We aren’t sure if there’s another baby in the cards for us, so it may well be the end of an era. But so it goes… I’m using one passion to help fuel another!